Do you know? Find out what's in store for you this year! I was in Hong Kong a few years ago to print my book “Tao of Youth” Let Nature Heal You. I left Hong Kong to go to college and had stayed in the USA all these years and I was back there for four years ago almost 2-3 times a year. 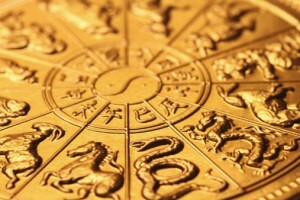 I noticed that people in Hong Kong are really into Feng Shui and Astrology. I met a few well known Feng Shui masters through my friends. I was consulting them on what to do with my house and myself. By the time I needed to come back to the USA, I was wondering how I could continue to practice this knowledge. I decided the best way is for me to learn everything about Feng Shui. I bought all their study courses and all the books and started to study in the USA. The more I get into it, the more I realized this is ancient information that you cannot learn in school and the only way to acquire these lost ancient secrets is through the Feng Shui Masters. In fact, I found out that practicing the art of Feng Shui according to time (where the Hong Kong masters use that ‘Nine flying star” chart) was a lost secret until the 1980′s. A decedent of some elite members of the emperor’s court passed it on to him and he started teaching a couple of people and one of them happened to be my Feng Shui Master Edward Li. Previous to that people only understood Feng Shui according to space like most interior designers do. He had then become the most famous Feng Shui master in the world. He had consulted Coca cola and about 80% of the wealthy tycoons in Hong Kong. He is a wizard and he is able to synthesize these information into simpler versions so that people like me can comprehend. He then teaches Chinese eight character reading that also help each person figure out his or her Chinese Astrological DNA so he or she can follow those information so they are well align with themselves with the environment besides using Feng Shui. 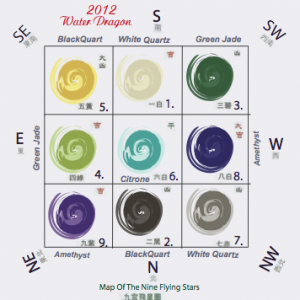 Combining element deficiency information and also Feng Shui, your life will be more balanced and you will perform well. I hope this helps you in understanding why this ancient knowledge is so important to our well being.